My first official saving account was with POSB (Post Office Savings Bank, renamed as POSBank in 1990). We students in the primary school were encouraged to start a Saving Account by “Buying and Pasting Stamps”. Of course at that time, the POSB was related to the Post Office! This is the “Save At School” stamp card where one will buy stamps and paste them on a card until it is completed. The teacher will then collect it and hand it to the bank on our behalf. You see it’s only 5cents stamp at that time. 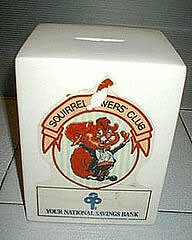 I know that later they even have this Squirrel Savers’ Club. Do you know how my first POSB bank book looks like? Guess it’s slightly bigger size than now and over the years, they have made some changes. Anyway, here is my first or probably second and third POSB bank book – the light blue was the 2nd one and the darker blue was the 3rd one. Maybe I’ve lost the 1st one! It was written as 1972 and handwritten (not printed on it). I was Primary 4 (10yrs old) then. I used to have that coin bank. Never managed to fill it to the brim though. It’s quite big! You mean that Squirrel coin bank? I don’t have that but mine it’s a different type hehe. 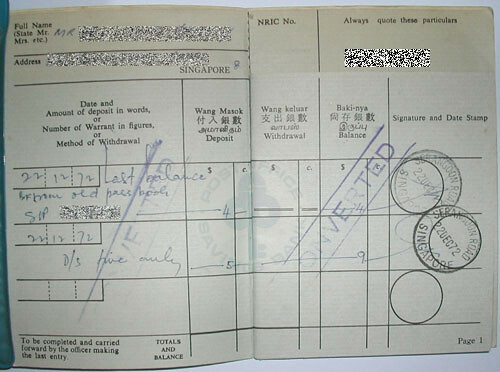 I had a savings account with the Hong Kong & Shanghai Bank (now HK Bank) in the early 1960s. The bank gave its depositors a) red savings book and b) a coin book which was shaped like the old HK Bank headquarters building in Hong Kong. I remember it was red in colour. I put coins inside the box; loose change from anyone. You see in those days, people hated to carry coins around especially 5 cents. 10 cents was more valuable and 50 cents was a big bonus. Bt 1964 I had to close this account because my father needed the money (please don’t laught) because of the Indonesian Confrontation. My family was badly affected by the event as my father’s business suffered. 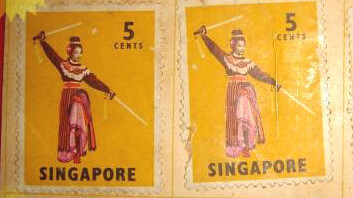 I remembered there was one that shaped like the old OCBC bank coin box – the traditional Chinese building type. I remember as far back as 1959 or 1960 we were encouraged to save by buying some stamps. I came across your blog from Yesterday.sg, which I stumbled on through acroamatic’s blog. Enjoy reading all these blasts from the pasts; even though I am only 30 years old, I remember many things from my childhood and how much things have changed. Unfortunately, my mother isn’t really one for nostalgia: ever since I moved out of home in 2000, she has cleared out a lot of my stuff that I used to collect as a child. If I still have my stamp collection, it’d be a miracle! Welcome here. Seems like your mother is the opposite of mine. My mother keeps every little thing….so much that I think I’m going back to a Museum instead. i used to collect the stamps..and would bring it to the bank.. Interested to know if your coin bank is up for sale. Sorry Maddy, that coin bank shown is not mine. 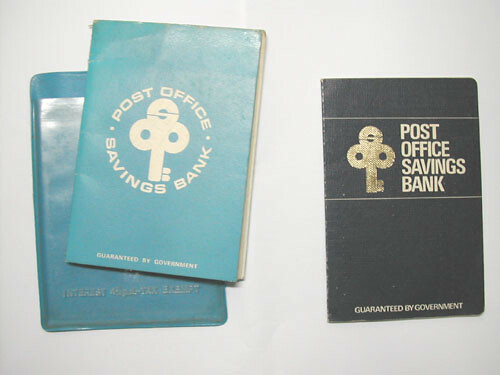 I used to have a post office savings account way back in 1968 known as the POSB,I lost the book some time in 1969,I had not a lot in it then,but would like to trace this if I can,surely the Post office must have some record of this book. How do I go about tracing it? Anyway I’ll be subscribing in your augment and even I success you get entry to constantly fast. Hi, I’m a magazine writer from Singapore and am interested in borrowing your old POSB passbook for a photo shoot/ How should I contact you?